or is this mirror filthy?! 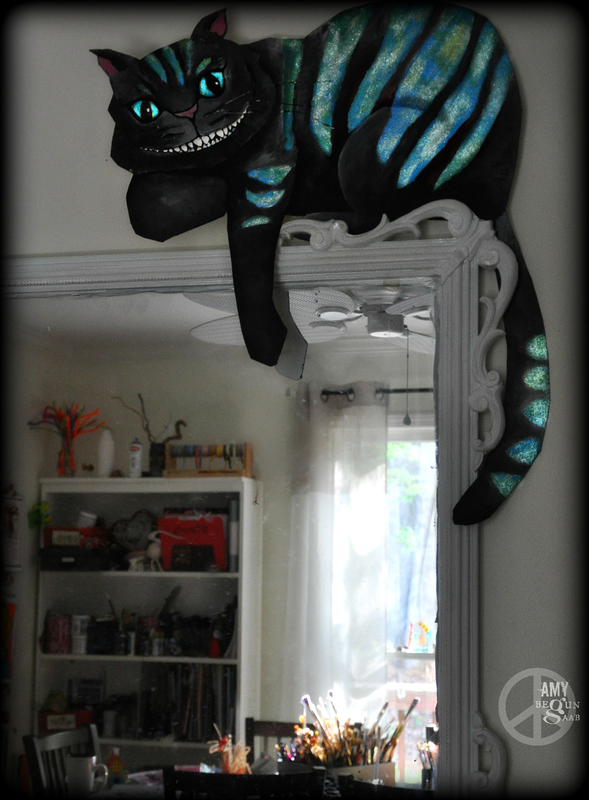 the cheshire cat? oh, him. i was commissioned to create Alice in Wonderland characters for a teenage class. I drew him on matt board & painted him as an example…then i used his body as a stencil on more matt board for the kids to paint themselves. mine doesn’t really glow like this, i did that with editing. HOWEVER, i did get him to shine by adding some super fine glitter by Martha Stewart. you can see that he still shines in this underexposed photo. I painted his stripes w/ blue/green acrylic & while the paint was wet, i added silver, light blue & wee bit of light green glitter. After it dried, i covered him in a high gloss varnish. He lives in my art studio. A PERFECT place, i would say. “have i gone mad? I’m afraid so, you’re entirely bonkers, but i’ll tell you a secret, all the best people are” describes most artists, does it not? “Imagination is the only weapon in the war against reality” which is why i hide in my books. 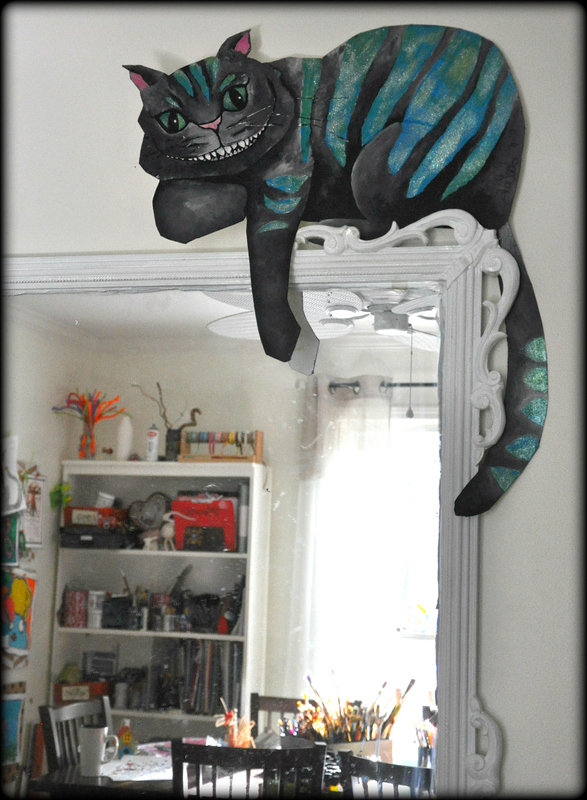 Great mirror .. Love the cat! I love the cheshire cat!! “You may have noticed that I’m not all there myself.” What a cute memory 🙂 Cheers back! You are suggesting there was sanity to begin with. Stop it! The reason art is created. You may appreciate my # 5 as well.